Defend your army builder while assaulting the enemy base with various tactical points-earned squads. Belonging to the established Builders and Fighters genre, Team Micro Melee combines regular 1v1 melee with numerous pick-and-choose squads for dynamic gameplay. With the experience-points element, supporting members can advance to stronger units and better upgrades to help protect the builder or lead the assault. As a team game, communication is vital or else a player will have to futilely fend for himself. A couple of mistakes builders usually make are not wisely positioning their squad-spawner (Civ) and not simply entrusting his army to the squads (PsiEm), which are important features to this tactics-focused game. Set up auto-defenses to hit your dummy Defilers such that they splash enemies running through. 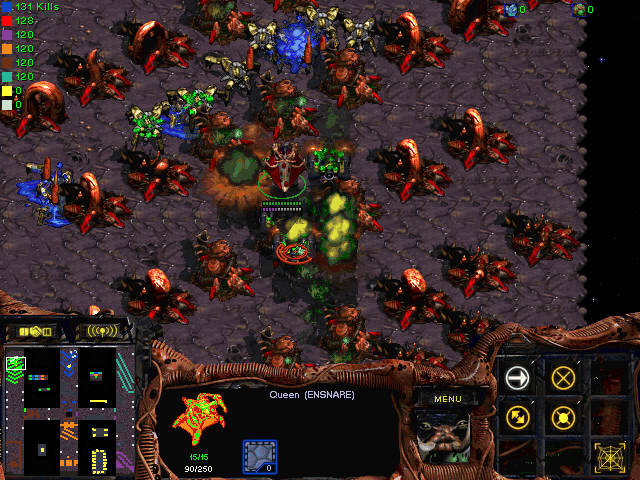 The "AI" prefix in the series of mini-defenses came from the original Korean 개인 Lurker Defense map, in which the hangul means "individual", but transcodes to "ÀÎ" on non-Korean localizations. Traits that AI maps all share are the last-man-standing rule, individual tracks, and the characteristic boomerang pathing. In AI Splash Defense , the creator combined the strategy of splash defenses with the minimalism of AI defenses, and as such, walling is even more essential in keeping the enemy vulnerable to fire. AI maps are generally short games, but what makes them more fun than longer ones is the ability to quickly master your strategies to outplay others. Warp in Pylon timebombs along with your vulnerable allies to wipe out lethal wandering enemies. Most of the quality Bomberman maps are FFA style with quick-thinking gameplay, such as BOMBERMAN 2.7 by [Ghost]Yoon. 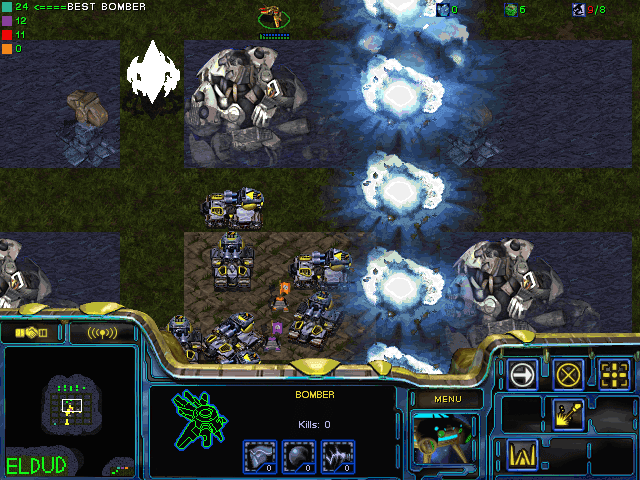 I chose BOMBER PROBE as the representative of this emulative genre in that it combines the fun of Bomberman games with the familiarity of tag maps. On first play, the map appears to be a Cat & Mice game with the jail zone in the center, and Mice/Probes running away from danger—except that players now have the more powerful ability of blasting away numerous enemies in entire rows or columns. Being the exact opposite of FFA maps, teamwork and especially the avoidance of friendly fire, will be needed as bombers advance through the nine diverse levels. Dodge erratic patterns of deadly projectiles as your blinking gunner barrages each level's boss unit. It was by serendipity that I came across this rather unique Korean map while browsing the English staredit.net database. Comparable to the hardest bound maps, Flower of Ice adds the excitement of shooting games to the intensity of dodging gameplay. Basically the Flower series is an adaptation of the bullet hell style shooting games, and not being a misnomer, player-controlled ships must dodge rains of instant-kill bullets while strafing the level's boss unit. 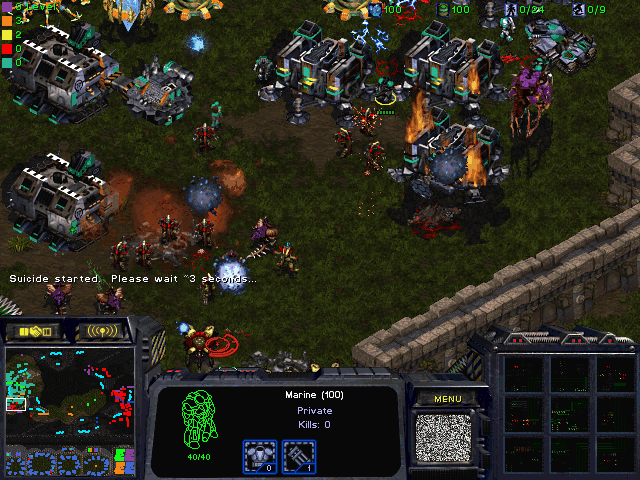 To adapt the shooting aspect to StarCraft, the creator split the player's "ship" to a dodger (Ling) and a gunner (air unit); the player controls the Ling, while an anti-air unit is constantly created and removed near the Ling to simulate a variable-rate shooter. 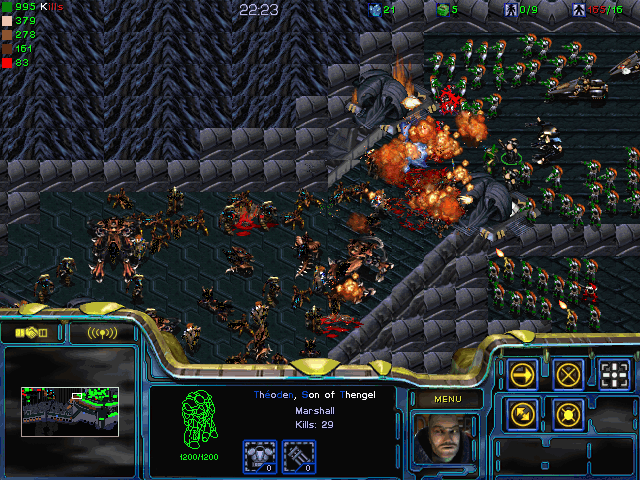 As it is a challenging game, players will have to practice and replay the map several times to really enjoy its complexity. Assemble the best squads with alotted cash to fight against armies in your own and the team's arena. Rarely are maps in the same series featured twice in the SCMOTD, but once again the freedom of squad customization and the dynamics of individual and team play—signature to the Single and Team Control series—have proven to make this map very replayable. SAT Control 2 expands from its prequel by letting players choose one of two enemy groups each level and integrating a boss level every five. Gameplay is enhanced by experience points based bonuses, allowing more resources or energy per round. 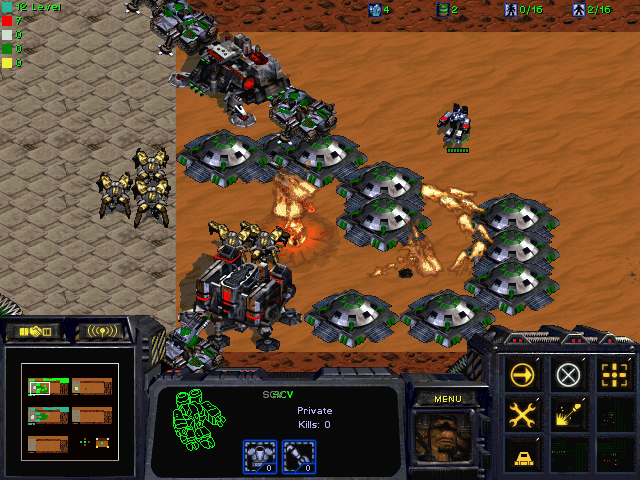 Though the game sometimes limits what players can buy to prevent overpowering the enemy, it is still essentially a sandbox game and players are free to experiment and have fun every time they play. Actively command your given squads to overcome fierce AI assaults and unrelenting human survivors. Evenly divide between ground and air defenses to prevent mixed enemies from ever leaving your area. Brace the gates of Helm's Deep as valiant humans and elves or pierce through as Saruman's vile orcish army.